Contact Sykes at Pet-Friendly Cottage on the Mizen Peninsula on 01244 500 540 or complete the enquiry form. 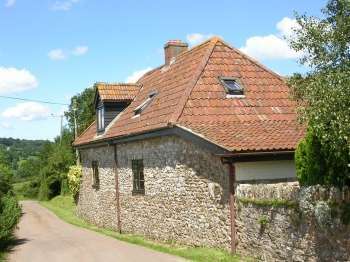 Looking to rent a 4 bedroom County Cork cottage which is set by countryside yet is close to the seaside? If so, this 4 bedroom pet-friendly holiday house with its rural setting just over a mile from the coastal village of Goleen could be perfect for your family or group of friends. 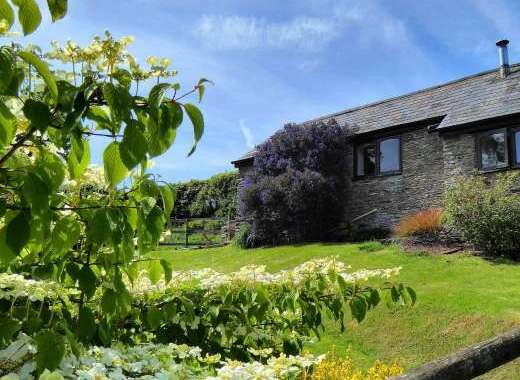 Sleeping up to 8 people plus one pet dog, this is a fantastic family-friendly cottage with a spacious homely interior. Inside there is a lounge with comfy seating, a warming open fire and TV, a spacious kitchen with electric oven and hob, microwave, dishwasher, fridge/freezer and washing machine and dining area, four bedrooms; one double bedroom on the ground floor complete with en-suite shower room with WC, one standard double bedroom, one double bedroom with an en-suite shower room, one twin bedroom and a family bathroom with bath (and shower over) and WC. Outside there is an enclosed lawned garden, complete with patio area, where any children can play and the pet dog can run around. There is also parking available for up to 4 cars. Nearby there are a number of lovely beaches to discover including Ballyrisode Beach, blue flag award winning Barleycove Beach, Galley Cove Beach and Stoney Beach. Also well worth a visit is Mizen Head Signal Station which lies at Cork and Ireland's most south westerly location and where there are some spectacular cliffside walks and scenery .